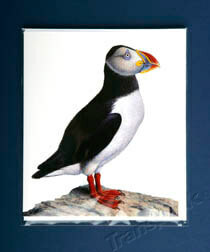 Bespoke sizes available - please see the link below and contact us for a quote - please note that minimum order quantities will apply, and do vary depending on style of bag. 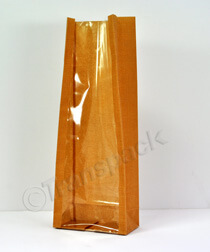 Gusseted Cellophane Bags have gussets in the sides which allow the bag to open more widely. The also have a crimped bottom seam, and as such don't have a pre-formed base. 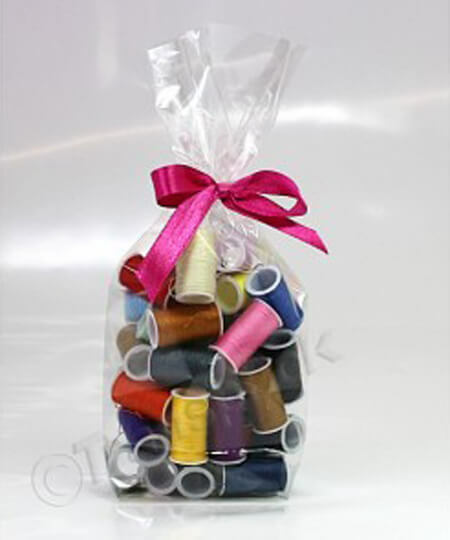 As the bag is filled the gusset opens out and the bottom of the bag folds under forming a base - this can then either be taped, or left to its own devices. 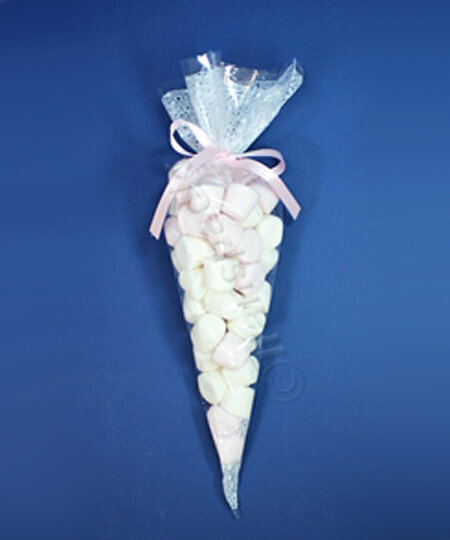 Ideal for items like rice which will fill the bag completely and give it a nice shape. 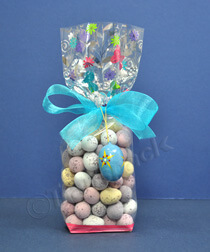 Also good for heavier or bulky items, chocolates, sweets and popcorn. 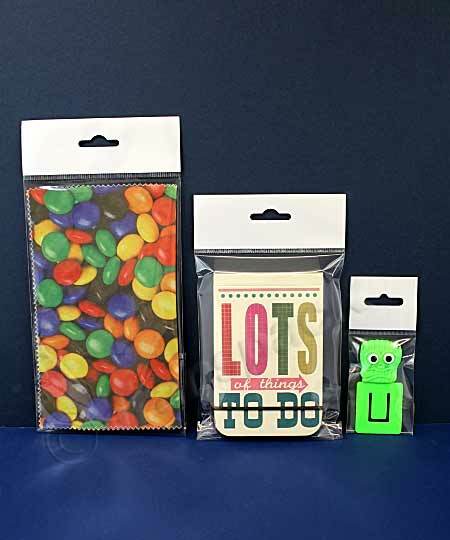 These bags are 40 microns so slightly thicker than the bags below although you may not notice a huge difference. 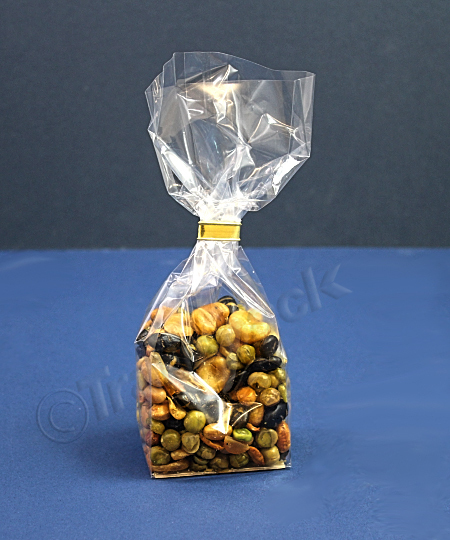 If you need an airtight bag you should choose this type, but you will need to use a heat sealer to seal the top edge of the bag to make it airtight. This need not be a very expensive exercise and we have lots of options and advice. 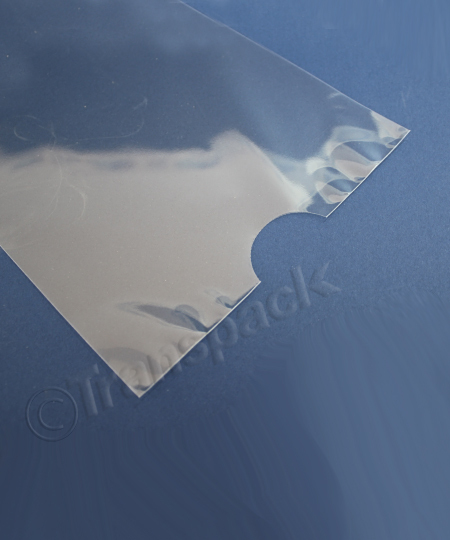 Visit our heat sealer pages for help. 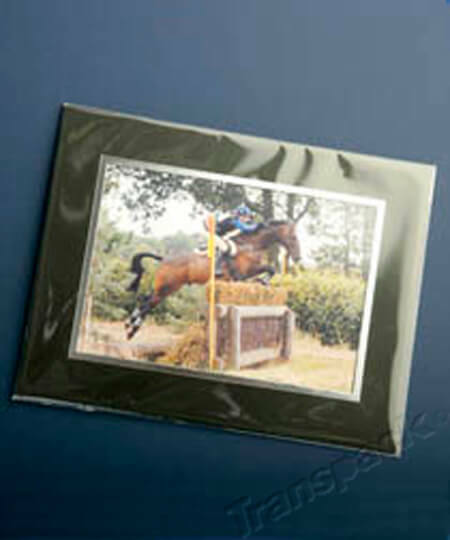 Block Bottom Cellophane Bags as you would expect have a pre-formed oblong shaped base. 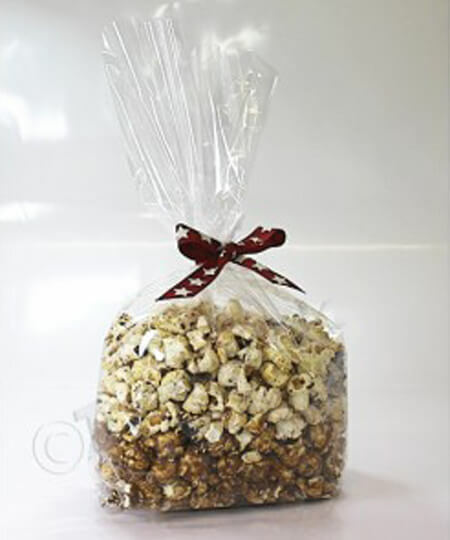 The won't open as widely as a gusseted bag so if your item is bulky it might be slightly trickier to place in the bag, although the pre-formed base may cancel out this problem. 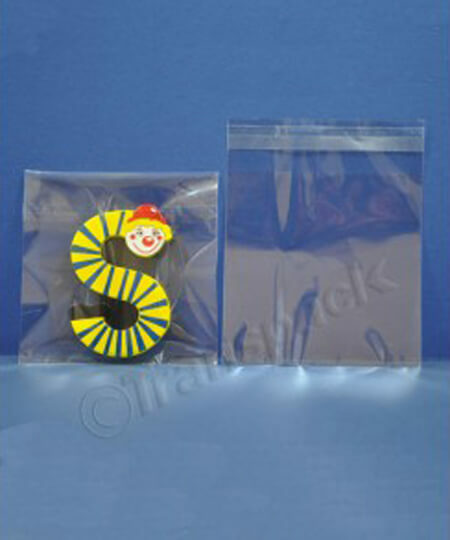 These bags are 30 microns and crystal clear. They are not suitable for products like flour as the block bottom seal is not airtight, and you may get some leakage. Use a gusseted bag for flour.